Researchers at MIT have developed a battery they claim 'breathes air'. Using a cheap byproduct of natural gas production, some dissolved salts and bubbles of oxygen, their cup-sized contraption can store and release charge at a fraction of the cost of its lithium-ion counterparts. Batteries have three main components: an anode (connected to the negative terminal), a cathode (connected to the positive terminal) and an electrolyte (which allows charge to flow between the two). In this battery, both the anode and cathode are liquid. The former made from dissolved sulphur and the latter from dissolved salt. When the battery is discharging, positively charged lithium and sodium ions shuttle from the anode to the cathode. And here's where the 'breathing' part comes in. The cathode 'breathes in' oxygen, producing negatively charged hydroxide ions to balance out the incoming charge and the anode discharges electrons into an external circuit. When the battery is recharging, the process simply runs in reverse. The cathode 'breathes out' oxygen, generating positively charged hydrogen ions and sending electrons back to the anode. The ingredients to make these 'breathing batteries' cost around a 30th of the price of an equivalent lithium ion battery and the research team hope they'll be used to store solar or wind power in the future. The Welsh National Opera have teamed up with motion-capture specialists from CAMERA at the University of Bath and VR agency, REWIND and the Welsh National Opera to bring The Magic Flute and Madame Butterfly into the 21st Century. 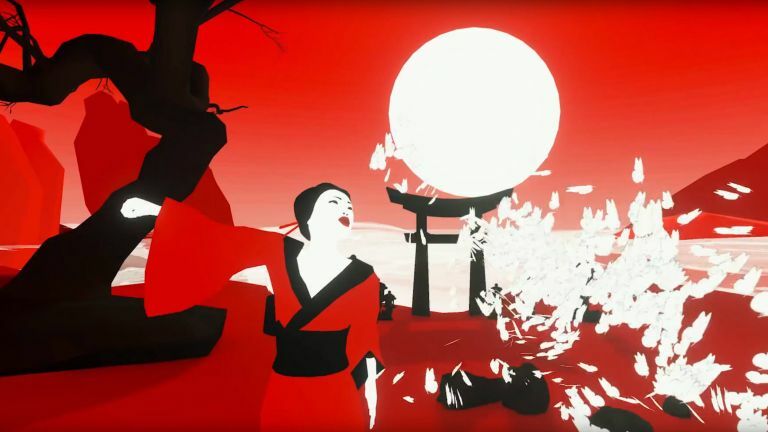 Together, they've re-imagined these two classic operas as virtual performances powered by Google Daydream. Soprano, Karah Son, was digitised by the CAMERA team using motion capture to recreate everything from her face and body movements to the flowing fabric of her kimono. Cloth proved challenging, so the researchers strung meshes of light-reflecting markers to Son's arms as she performed, allowing them to track the motion of her sleeves. If you're curious to see the results, you can find the performance inside a specially-made shipping container that will be touring the country for the rest of the year. It's at Cardiff Bay until 14 October, Birmingham Hippodrome Square between 30 October - 5 November, and Albert Dock in Liverpool from 9-12 November. Next year, it’ll be at the Victoria & Albert Museum from 19-21 January 2018. NASA's Orbiting Carbon Observatory-2 (OCO2) is a dedicated carbon hunter. It's been scouring the globe for carbon dioxide and, this week, researchers have published a raft of papers in top journal, Science. Turns out, they've been using its on-board equipment to watch plants photosynthesising from space. Plants use the sun's energy to transform carbon dioxide into sugar by channelling it through the green pigment, chlorophyll. When light hits their leaves, chlorophyll molecules become excited, jumping up to a higher energy state. The captured energy drives photosynthesis, but not all of it goes into food production; some is released again as packets of energy, which are visible as fluorescence. This is what the satellite has been picking up, allowing the researchers to watch plants generating food from space. A different team have been using the same satellite to spy on carbon emissions from cities. The satellite scans carbon dioxide concentrations as it speeds around the Earth, and among its targets was Los Angeles (pictured above). It only peeked for a few minutes, but it managed to map out the variation in carbon levels across different areas, pinpointing carbon hotspots. It also scanned Vanuatu’s three volcanoes, picking up emissions of about 41.6 kilotons of carbon dioxide a day from continuously-erupting Mt. Yasur. Sounds like a lot, but NASA say it pales in comparison to human emissions, which total around 100,000 kilotons per day. The space agency hope that as OCO2 continues its rounds, it'll build a clearer and clearer picture of the sources and sinks of carbon around the planet, improving climate modelling for the future.